Iris Optical FAQs: where do I enter my prescription? where do I enter my prescription details? We only ever work from a copy of the original prescription (which is then scanned and saved). 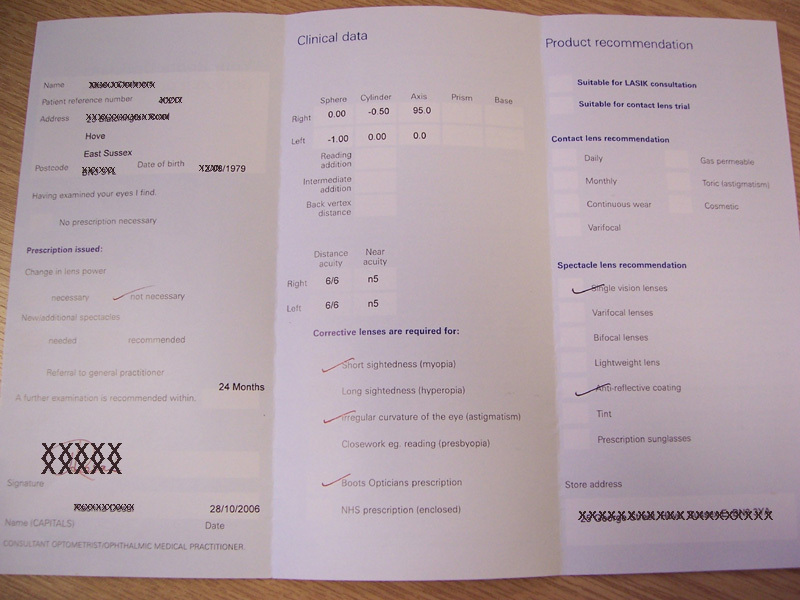 All orders requiring prescription lenses must be followed by a copy of your prescription. Please note - we must have a copy of the original in order to avoid mistakes (please don't rewrite it yourself). You can either fax, email or post this to us. In all cases, please note your full name and order number on the prescription.